(Pierre Matisse Gallery, New York); Mrs. Enid Annenberg Haupt, New York, by 1973; gift 1977 to NGA. Memorandum of telephone call between J. Carter Brown and Mrs. Enid A. Haupt, 26 September 1977, in NGA curatorial files. See memo concerning the Haupt collection dated 14 May 1973, in NGA curatorial files. Aspects of Twentieth-Century Art, National Gallery of Art, Washington, D.C., 1978-1979, no. 62, repro. 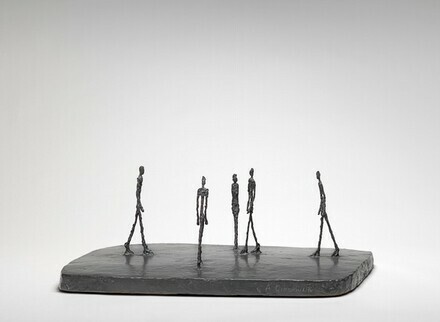 Alberto Giacometti: dibujo, escultura, pintura, Centro de Arte Riena Sofia, Madrid, Spain, 1990-1991, no. 195. Sculpture: An Illustrated Catalogue. National Gallery of Art, Washington, 1994: 100, repro.